With the CDP Climate Change reporting deadline less than two weeks away (June 30), reporting organizations are deep into the 2016 questionnaire. This year, CDP has made some material changes to its questions in order to line up with the GHG Protocol’s Scope 2 guidance —released in 2015—and to place greater emphasis on climate action. The biggest change for 2016 is to align the CDP questionnaire with the two-market method described in the Scope 2 guidance. Companies are asked to report on both a location—or activity—basis as well as a market—or “contractual instrument”—basis for any operations that are located in markets where consumer choice is available. Location-based reporting accounts for the actual consumption of electricity in a specific grid region. It is an inventory of all electricity-consuming activities by an organization’s operations within a defined geographic boundary. Market-based reporting, on the other hand, accounts for an organization’s purchase of contractual instruments, or greenhouse gas reducing mechanisms such as renewable energy certificates (RECs) or power purchase agreements (PPAs). Why two methods? The new guidance more clearly defines and delineates that there are two markets at play here: the wholesale electricity market [location-basis] and the environmental commodities market [market-basis]. Companies are constrained in their ability to make choices over their consumption in the wholesale electricity market. 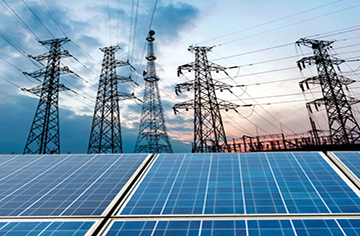 While they may be able reduce their overall electricity consumption by improving organizational and operational efficiencies, they will still depend on their electricity provider to select the mix of energy types that make up their particular electricity. On the other hand, in markets where companies can purchase instruments like RECs, these buyers have the ability to utilize their purchase to claim low- or zero-carbon emission electricity. For more information on Scope 2 guidance and how to make green power emission reduction and marketing claims, please download our new Guide. In addition to the dual-market Scope 2 guidance changes to the CDP questionnaire, respondents will also be asked to begin disclosing on climate action. For example, companies will now be asked to disclose the volume of their renewable energy consumption or production during the reporting year. Renewable energy consumption is not the only new question to appear in the questionnaire focused on action. CDP’s shift in favor of stronger action also manifests through questions on science-based targets, which appear in this year’s questionnaire for the first time. The questions are reflective of CDP’s science-based, climate-action partnership with the UN Global Compact, World Resources Institute (WRI), and the World Wildlife Fund (WWF), arguably the four most powerful NGO’s in climate mitigation initiatives. The Science Based Targets initiative is intended to help companies (163 to date) set emission reduction goals in alignment with current best practices in climate science. CDP is also calling on companies to consider joining the RE100, a joint effort of CDP and The Climate Group, to support companies in making—and keeping—commitments to 100% renewable energy. To date, 65 global companies across a variety of industry sectors have pledged their goal of 100% renewables. Other areas of corporate climate action recommended by CDP include addressing deforestation, reporting climate change information as a fiduciary responsibility, engaging on climate policy, using an internal carbon tax/fee to put a price on carbon, and reducing short-lived climate pollutants (such as methane). We encourage all reporting companies to familiarize themselves with the changes to this year’s questionnaire and to take seriously CDP’s challenge to set science-based targets, pledge to buy renewables, and disclose renewable energy utilization. With increasing numbers of corporations and institutions purchasing renewable energy, it is clear that the corporate community has an enormous opportunity to help steer the future of global climate action. Renewable Choice is proud to be CDP’s exclusive North American partner on offsite renewables—including PPAs, RECs, and carbon offsets—for 2016. To learn more about how renewable energy and carbon-reducing contractual instruments can help you achieve your climate action targets, contact us today.